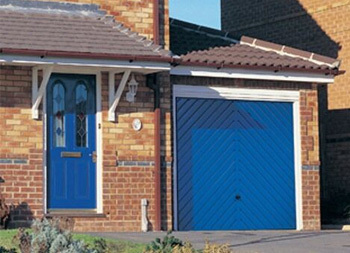 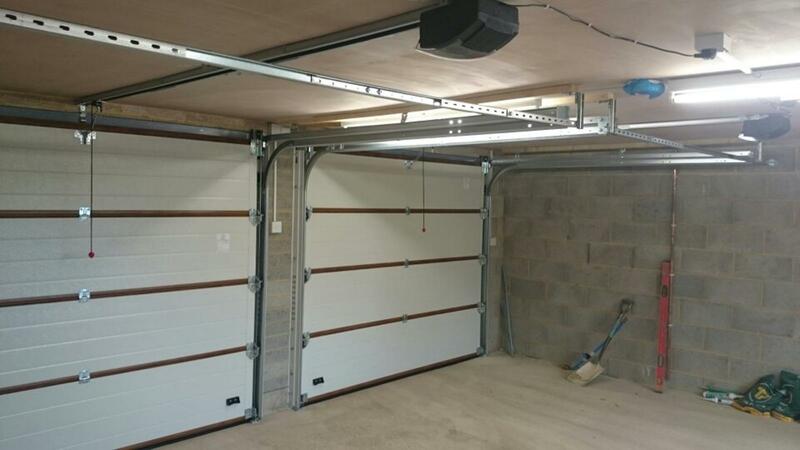 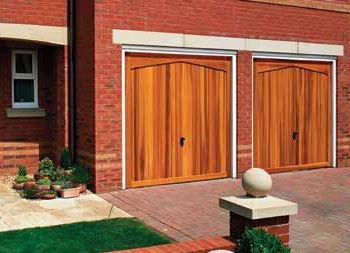 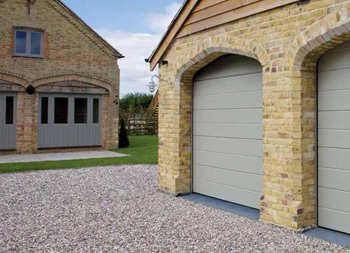 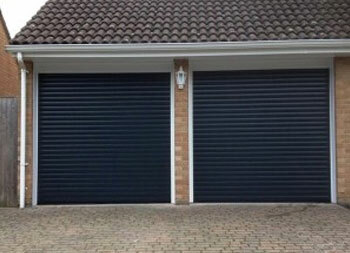 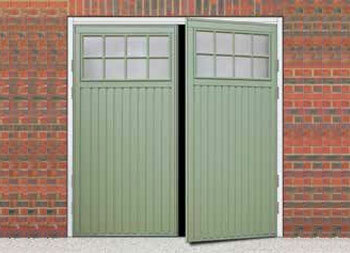 Here are a pair of Novoferm Sectional doors which we installed last month in this new build garage. 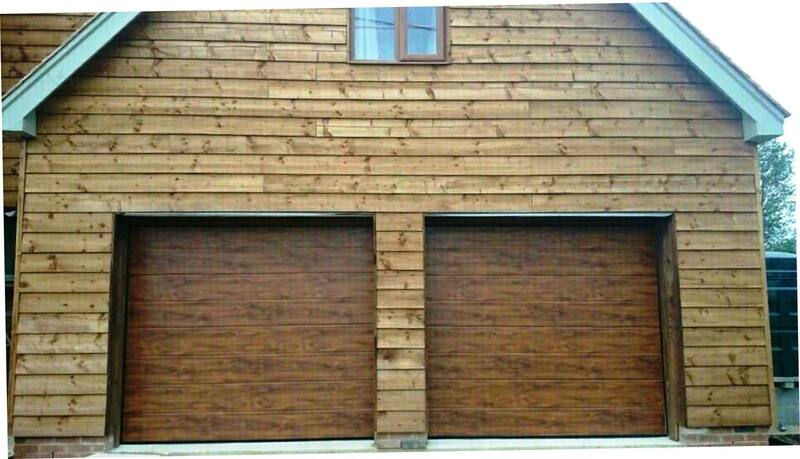 The customer chose the Large Rib design in laminated Golden Oak finish to perfectly complement the shiplap cladding. 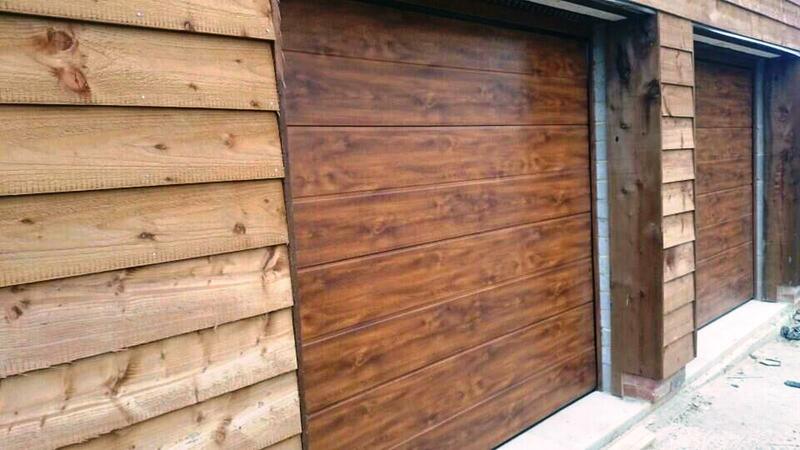 Now the doors are fitted the customer can finish the last of the cladding. 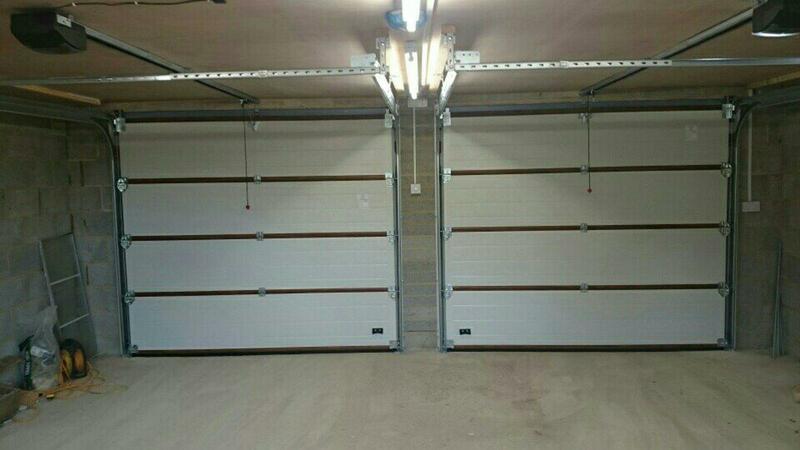 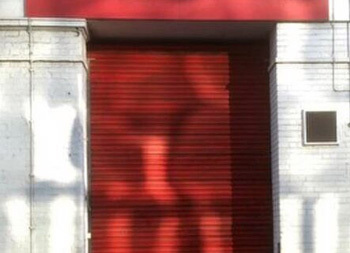 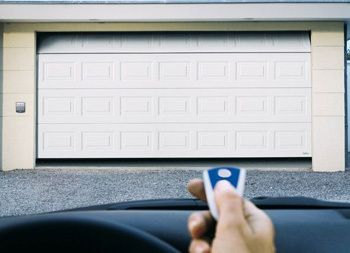 The inside shots show the engineering behind these automated sectional garage doors. 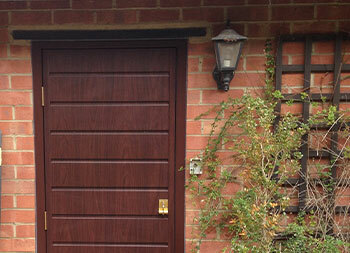 Highest quality doors for a customer who wanted the very best.